AIIMS MBBS 2018 result is announced through the official website. The result will not be communicated by any other means. 18 June 2018: The All India Institute of Medical Sciences (AIIMS) has released the result for its Bachelor of Medicine, Bachelor of Surgery (MBBS) entrance examination today. The AIIMS MBBS entrance exam was conducted on 26th and 27th May 2018. The examination is conducted every year for admission at AIIMS New Delhi and eight other AIIMS campuses in Bhopal, Bhubaneswar, Patna, Jodhpur, Raipur, Rishikesh, Guntur (AP) and Nagpur (Maharashtra). Candidates can check the AIIMS MBBS 2018 result at the official website. Go to the official website – https://www.aiimsexams.org/. Click ‘MBBS’ course under ‘Undergraduate’ column. 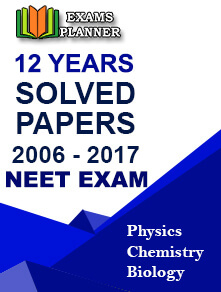 A pop-up window will appear showing links for the result of the examination. Roll number wise and rank wise lists of qualified candidates are provided. Click on the one which you want to check. The PDF file will open with the list of qualified candidates. Find your roll number and check the result. Please note that the institute will not communicate the result through any other means. So, candidates are required to check their result only through the online mode. Individual marks/percentile scores can be checked through individual log-in ids. No request for re-checking/re-evaluation will be entertained by the institute. After the declaration of result, counselling is conducted for seat allocation. From this year onwards, the counselling will be done online. The schedule and guidelines for the online counselling process will e uploaded on the official website in due course of time. Candidates are requested to keep a regular check on the website. The number of counselling rounds depends upon the number of available seats after every round of counselling. The AIIMS MBBS course is of five and a half years (including one year of compulsory internship) duration. 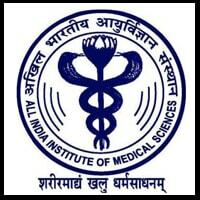 AIIMS (All India Institute of Medical Sciences) is among the reputed medical institutes in the country. It has campuses at New Delhi, Bhopal, Bhubaneswar, Patna, Jodhpur, Raipur, Rishikesh, Guntur (AP) and Nagpur (Maharashtra). Every year, the AIIMS MBBS entrance exam is conducted for admission to all these campuses. The entrance exam tests the candidates’ knowledge of subjects viz. Physics, Chemistry, and Biology.